1: It's just fun to celebrate love. We need more days like that in our lives. 3: The chance to wear pink head to toe (as if I need an excuse). 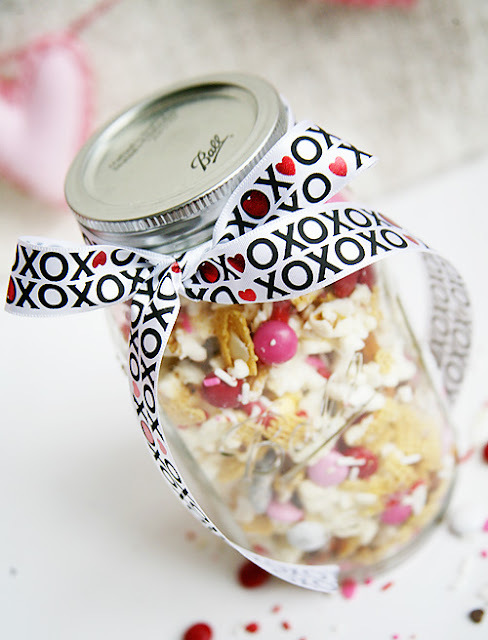 4: All the adorable theme wear for the kids. 5: Roses. Give me all the roses. 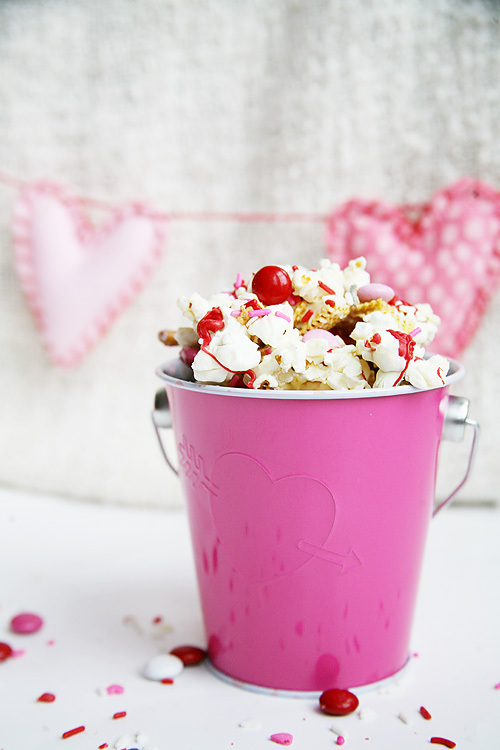 6: Any excuse to dig into one of those yummy boxes of chocolates. Let me introduce you to the Cupid Crunch Snack Mix. 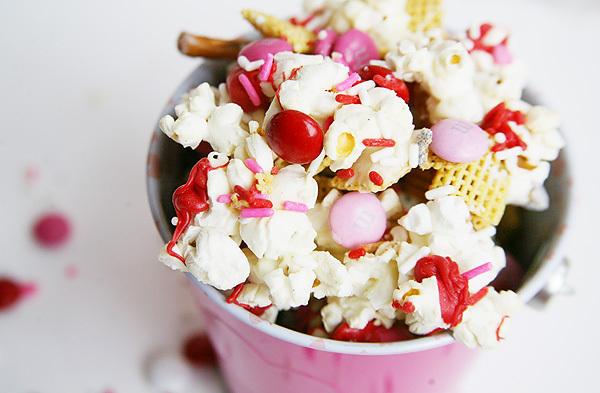 We put our own twist on this yummy salty sweet combo, and it is so so tasty. I might have eaten it for lunch one day this week. It's super easy to make, with less than 20 minutes of work from start to finish. 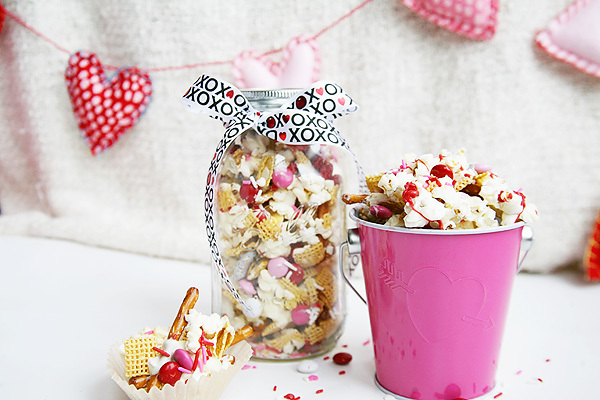 It's also a huge hit with the kids if you have a treat you need to bring into class for a party. Bonus: You can make it allergy free with just a few switch of products. I used these pretzels, these chocolate chips are a great alternative that are still super yummy, and Chex cereal is free of most allergens. 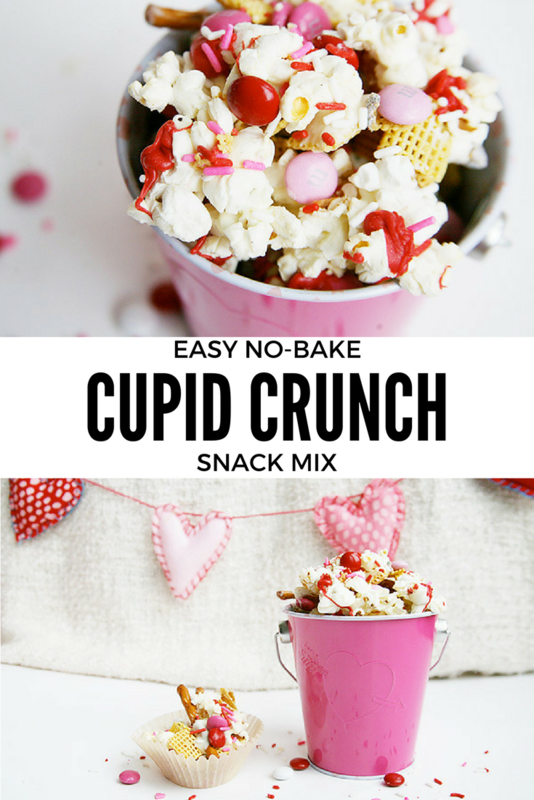 We are dishing on the yummy details of this Cupid Crunch Snack Mix with our friends over at Savvy Sassy Moms. Make the hop HERE to check it out! 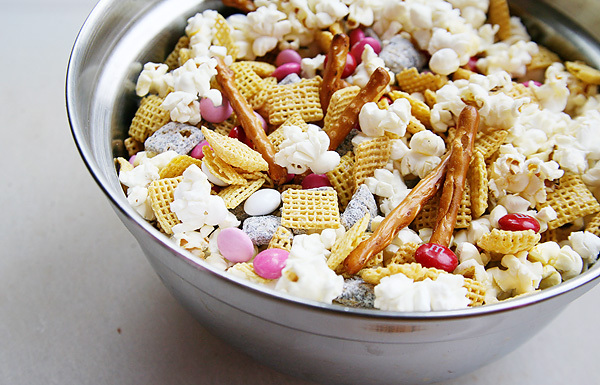 Make it, gift it, pack it up and bring it to work as a snack. 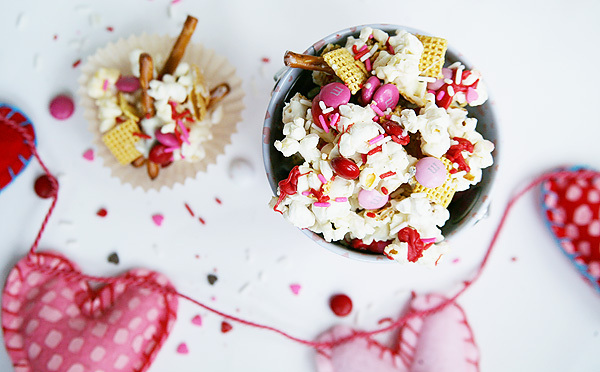 You will forever be in love with Valentine's Day and so will your tastebuds.